Something was stirring in the valley, something powerful and old. In a secluded Welsh valley ringed by wild mountains, the characters and quarrels of three young people unfold as the tragic legend recurs - of two men who once loved the same girl and killed each other, leaving successive generations to play out the terror of that ancient triangle. A relentless inevitability of events and the brooding power of the supernatural make this an unforgettable book. Gwyn heard a noise behind him, and he turned. A lump of pebble-dash had come off the wall, and another fell, and in their place on the wall two eyes were watching him. The hot summer days were filled with an oppressiveness that the heat alone could not explain. Alison, Gwyn and Roger could feel it, but only Huw really understood it. And as the inevitable confrontation between present and past drew nearer, Gwyn alone seemed strong enough to stall the disaster that hung over them all. The Carnegie Medal-winning classic about a most unusual dinner service and the ancient, deadly magic it holds. The book was published in 1967, and was later dramatised for Granada Television, from a screenplay adapted by Garner himself. The Owl Service interprets a story from the Welsh Mabinogion, namely, portions of the story of "Math Son of Mathonwy." In this story Math's niece, Arianhrod, is tricked into giving birth when her claim to virginity is tested. She rejects her children, and one is raised by her brother, Math's heir Gwydion. (In a matrilineal system the maternal uncle is the male relative who takes responsibility for the child.) Resentful, Arianhrod curses her son Lleu. Her first curse is that he will not be named until she names him. The second is that he will not bear arms until she arms him. Finally, she declares that the child shall not have a human wife, and so Math and Gwydion fashion a woman of flowers to be Lleu's wife, and name her Bloduwedd (flower face). Yet this third curse is not so easily thwarted because the couple must now make a marriage, and Bloduwedd becomes enamored of neighbor Gronw Pebr, who counsels her to find out how Lleu can be killed. Although some have interpreted Gronw's liaison with Bloduwedd as an act of pure, selfish passion, most writers also note that she had no choice of partners, and her feelings for Lleu are never really described in "Math," although her feelings for Gronw are quite clear. Like many Celtic demigods, Lleu must abide by the curses of his mother, similar to the geas, or taboo, laid on Irish heroes, and can only be killed in unusual circumstances that usually arise only when the character breaks the geas. Gronw tries to kill Lleu, yet before he dies, Lleu manages to turn into an eagle and fly away, to be found eventually by Gwydion, who talks him down from a tree where he huddles with his flesh rotting away. Gwydion saves Lleu and takes revenge on Bloduwedd by turning her into an owl. 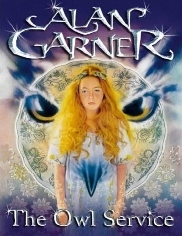 ALAN GARNER (OBE) is the award-winning (The Guardian Award and the Carnegie Medal) author of Elidor, The Owl Service, The Moon of Gomrath, The Weirdstone of Brisingamen, and The Stone Book Quartet. He lives in Cheshire, England, and was elected a Fellow of the Society of Antiquaries of London in 2007. Alan Garner was born in Congleton in Cheshire in October 1934. He was brought up on Alderley and now lives with his wife and family in a medieval timber-framed house near the Jodrell Bank Radio Telescope, between Congleton and Alderley. He says in his published biography that, while his ancestors on his father's side were skilled and steady people, his mother's side were 'gifted cranks'. His first three books, The Wierdstone of Brisingamen, The Moon of Gomrath and Elidor have become children's favourites. 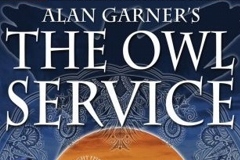 But it was his fourth book, 'The Owl Service' that undoubtedly brought Alan Garner to everyone's attention. It won two important literary prizes - The Guardian Award and the Carnegie Medal - and was made into a serial by Granada Television. It has established itself as a classic and Alan Garner as a writer of great distinction. Garner on writing: "Before I write anything, I always know the last paragraph of the book. I see it quite clearly and after that it is a bit like trying to synchronise lips on a Steenback editing machine. I suspend all critical judgment and write maybe 200 words at a time until it comes in a frenzy and I'm writing all the time. When it's finished, I become my own savage editor, going through every word of long-hand before I type anything. A friend once said that some writers write to live and others live to write. I'm in the second category." Just a quick mention of the 'teaching guide'. Anyone who has sat through GCSE English Lit will know how enlightening/annoying/utterly dull these guides can be. Thankfully, I found this one on Ebay, and bought it for pleasure, rather than any form of education. Good job really, given that teaching guides tend to rob literature of any personality and warmth. Mind you, if anyone passed their Eng Lit based on this book it can't really be that bad, can it? The Hodder & Stoughton version comes with illustrations; cartoony things, which don't really do the story justice, but I guess they could prove distracting, if waiting for the bell to go. Here's an excerpt from the text: "Huw makes Gwyn see that certain people are destined to become part of the myth, and that every time it happens three people suffer. Gwyn, Roger and Alison are suffering because Alison made the flowers into owls, unleashing the suffering Blodeuwedd endured when she was turned into an owl and forced to hunt and destroy. What does Gwyn feel when he hears that Nancy was involved in a similar triangle?" Please note: DVD release in Spring 2008 by Network. This serial, adapted by Alan Garner from his prize-winning novel, was a sexually-charged tale of adolescent jealousy that broke new ground by pushing hard at the boundaries of children's television. The Welsh legend of Blodeuwedd is a tale of betrayal retold in the 11th Century book of The Mabinogion. Blodeuedd, a woman made of flowers, was unfaithful to Lleu Llaw Gyffes with Gronw Bebyr. Gronw then killed Lleu with a spear so that Lleu became an eagle - Lleu's magician Gwydion turned the unfaithful woman into Blodeuwedd, the owl, as punishment. Now three modern-day teenagers are revisited by Gwydion's curse. Upper-class Alison, her haughty public school stepbrother Roger and working-class Welsh boy Gwyn are similarly locked into a triangle of love and hate that threatens to destroy them. 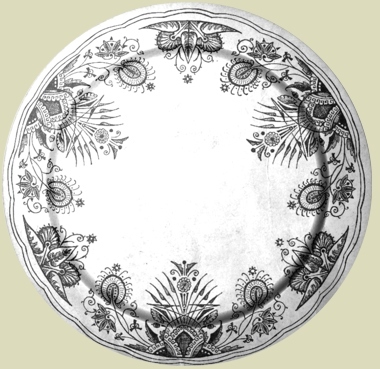 Gwyn later learns of the father he's never known and discovers that his mother was once possessed by the same old plates Alison uncovered in the attic. Very much a product of the 1960s, the serial used a contemporary source novel (Garner's book was two years old when adapted for television) that dwelled upon class struggles and adolescent permissiveness, albeit within a supernatural fantasy framework. Then-fashionable jump cuts and psychedelic imagery were used for the all-film production. This was the first fully-scripted drama to be made entirely in colour by Granada Television, although it was shown in black and white on its original runs and not seen in colour until its 1978 repeat. This ruined the visual joke of Alison, Gwyn and Roger always wearing respectively red, black and green outfits - the colours of electrical wiring at the time - hinting at the power the three could unleash. The serial was shot in and around Dinas Mawddwy, North Wales, although Poulton Hall in Liverpool was used as the house location when Bryn Hall, the Welsh mansion where Garner had set his novel, proved unavailable. Released in 2008, the DVD allows a new audience to enjoy The Owl Service; you can buy the complete series from Amazon. A further Radio 4 production was produced, and broadcast in 2000. Sadly, i have no further information about the drama. Any news, clippings, or sounds would be greatly appreciated. Email. There's something about The Owl Service...something hard to define, or pinpoint, which makes it utterly unforgettable, and can, on occasion, create utter fanatics! I read the book, back in the late seventies, at the age of ten. It was a book that fascinated and alarmed me. I grew up in the Weald of Kent, surrounded by orchards ripe for scrumping, and never felt threatened by the landscape, in any sense of the word, only a few of those who dwelt within it. That all changed with The Owl Service. The once pleasant forest became haunted by wood sprites and malevolent mists, only to be entered while whispering the protective chant of 'Cold Kippers, Cold Kippers, Cold Kippers...'. The hillsides became a positive treasure trove of amazing archaeological finds, unearthing nothing as dull as Roman Coins or Saxon Crowns...instead, I was delighted to find bottle tops, old wheels, boot buckles, feeling that each one of those items may be a reminder of some terrible crime, or long forgotten story. Exciting in their everyday blandness. Metal detecting, in The Lynch Fox Woods, and fields of the South East became a regular event, and something I still enjoy with my nephew, on bright Summer days. My interests in the paranormal were ignited by the Granada Television version of the book, during the mid eighties (Channel 4 repeat) as well as repeats of the BBC's Ghost Story for Christmas series, including M.R.James A Warning to the Curious. Both stories, The Owl Service, and Warning, feature characters repeating the actions of those who have been before, progressing onward to some unknown, and possibly ghastly fate. Roger's ability to capture 'ghosts' on film was both unsettling and exciting. The ability to photograph a figure from the distant past, the near past and possible future was incredibly influential on a young mind. Before anyone could say SLR, I was out in the fields, once again, looking to capture the unexplainable. I am still looking for that uncanny moment, which is probably why I write the material that I do, such as The Lost Crown, which I am not ashamed to admit is littered with references to the books I read as a child...but, it is The Owl Service which I go back to, more often than not. Each re-read brings new joys, and unsettling emotion, as the mind matures and visualises Garner's world differently. The authors stark prose never intrudes, nor smothers the imagination, which is perhaps why so many find the book utterly captivating. This next section, of The Owl Service page, features work tied to the fiction, or the late 60's television series. Some are obvious, where as others may seem loosely tied, to say the least. Should you have anything to add to this page, or feel I have overlooked anything, please don't hesitate to email. Superb alt-folk band, perfect sound to capture the airy days of late sixties England. 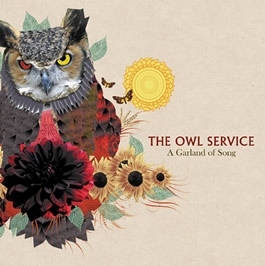 About: "The Owl Service formed through a mutual love of British films and television of the 1960s and 70s, the great outdoors and (of course) the sound of the English folk revival. No retro obsessives, The Owl Service simply believe that music production peaked around 1969 and they merely seek to perfectly encapsulate the influence of the greatest albums and artists of the time. Beautiful music, simply arranged, exquisitely executed and captured on tape with authentic warmth - prepare to be enchanted by The Owl Service." 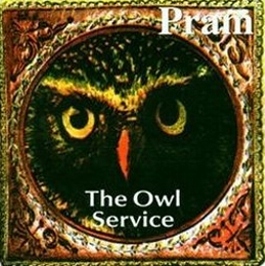 About: "The sixth album by Pram features a track called 'The Owl Service', which was also released as a single. "Museum Of Imaginary Animals finds Pram in their ninth year of playing music from the other side of the cracked looking-glass. Hauntingly ageless as this album's title would suggest. Pram display an encyclopaedic knowledge of the deepest recesses of the musical avant-garde. "The Owl Service" is daubed with the squall of a free-jazz saxophonist, "A Million Bubbles Burst" is kept buoyant by the hiss of a primitive beatbox and "The Mermaid's Hotel" is a half-heard snippet from Radio Narnia's playlist. The mysterious witchery of Museum Of Imaginary Animals should prove an ever-challenging proposition." 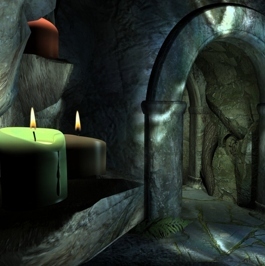 Interactive Supernatural Thriller (PC Computer Game). 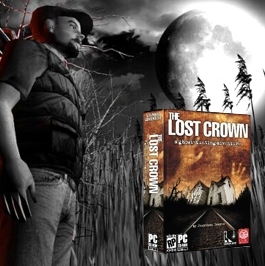 About: Haunting interactive ghost story, vividly set in the fictional harbour town of Saxton. Written by Jonathan Boakes (Dark Fall and Dark Fall II), the screenplay explores Boakes' love of folk tales, English legends, the 'classic' ghost story and modern interpretations of supernatural phenomena. Armed with a kitbag of ghost-hunting gadgets, you can join Nigel Danvers and Lucy Reubans, as they search for the location of the last Anglo-Saxon Crown. Beware, not all the townspeople will help with your mission, whether alive or dead. 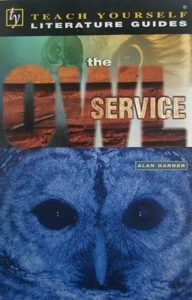 Great website, with images of the original 'Owl Service' plate, supposed to have inspired the story, photographs of Alderley Edge, a dizzying collection of book cover scans (from various countries) and a full biography of Alan Garner. Interesting overview of the author, "Garner says he avoids fiction for fear of unconsciously adopting other writers' ideas, and went straight from reading comics to Latin and Greek." The stage adaptation was commissioned by Plymouth Theatre Royal, and co-written by Anita Sullivan & David Prescott. The theatrical world premiere was staged at the Drum Theatre July 2004. Directed by Greg Banks, designed by Claire Lyth, with live music composed by Thomas Johnson. Excellent list of Garner's work, complete with book covers and dates. This page also includes a neat biography. The online encyclopedia has a good, solid page on Alan Garner, with links to extracts of his work. "His early books were fantasy, marketed for children, though he was not ever comfortable with being labeled simply as a "children's writer", saying he had no intention one way or the other about writing specifically for children." "If you take the design off the plate and fit it together it makes a complete owl. See. 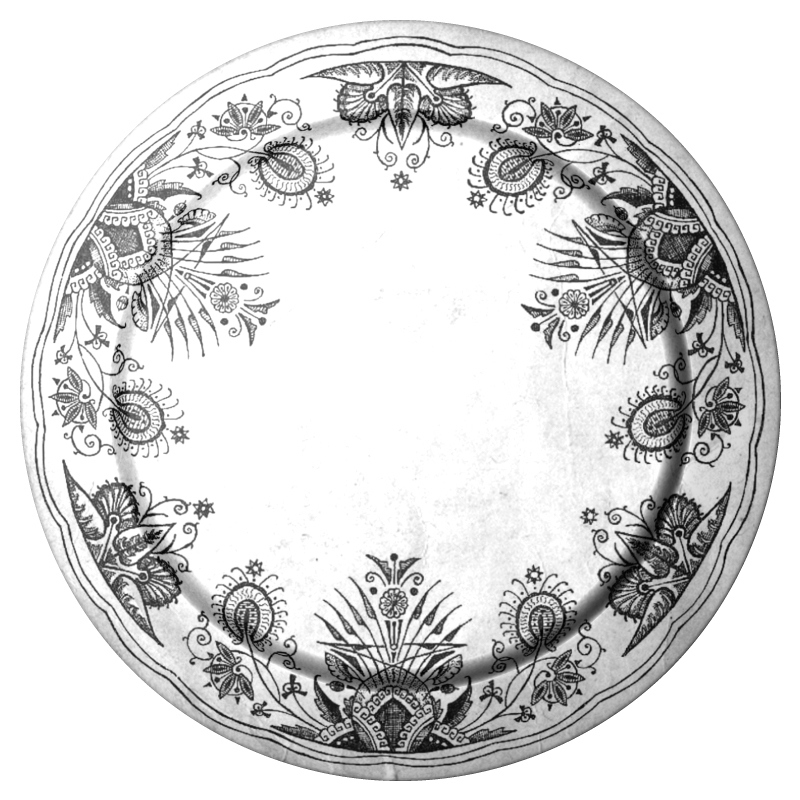 I've traced the two parts of the design, and all you do is turn the head right round till it's the other way up, and then join it to the top of the main pattern where it follows the rim of the plate. There you are. It's an owl - head, wings and all". 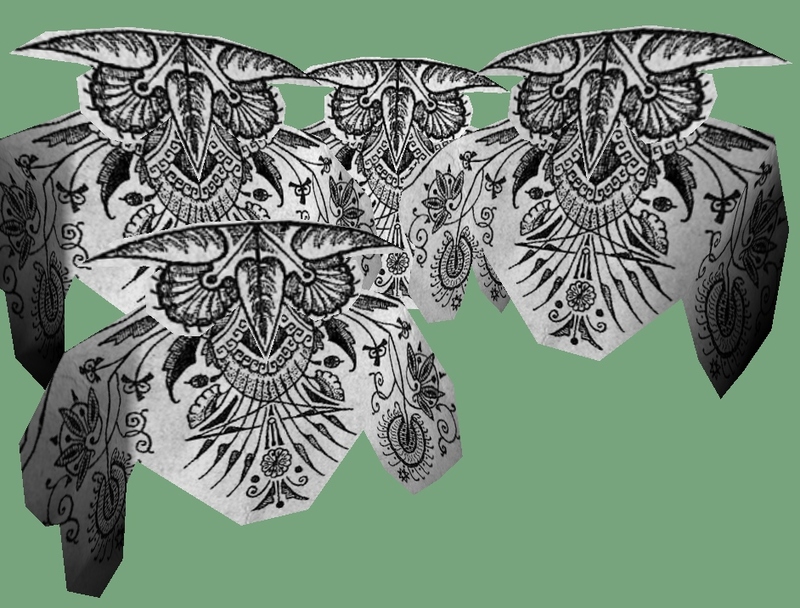 Finally, your owl should look something like the images below. Feel free to send any photos of your creations, and I'll happily create an Owl Service Sanctuary page, for all our papery friends. No owls were harmed in the creation of this webpage. Note: Should you find your playtime disturbed by a manky, Welsh housekeeper, saying "I'll trouble you to give me that plate, Miss Alison", just remind her whose house it is, or better still, ignore her. Page produced by Jonathan Boakes, for Darkling Room, April 2008, launched Beltane 2008.